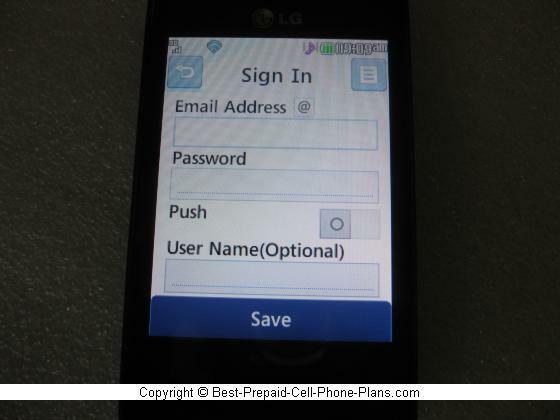 The Tracfone LG 840g is a 3G touchscreen phone with WiFi capability and a 2 MP camera, but two or three flaws prevent it from being a candidate for the perfect prepaid phone. In this review we'll cover both the good and the bad. You'll also find links to tutorials and the manual, images showing some of its key features. Plus you'll find a video review and user questions on the next page. Let's start with some features. Overall, the 3.2 inch touchscreen is pretty good (a bit larger than the one on the 800g). The user interface is very nicely designed for the most part with the buttons nice and large so you can’t miss them. 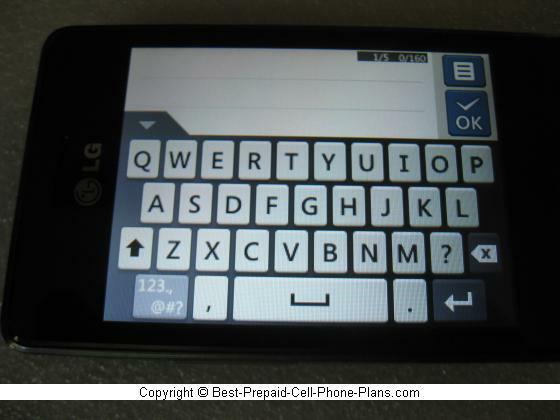 There is a virtual QWERTY keyboard for things like texting, but it’s not availablein all situations. For example, it’s not an option when logging into the Facebook and Twitter apps. The WiFi capability is great for web-browsing when you have access to a wireless network at home, at work or in coffee shops etc. You can surf the web, check email and FB etc., without using your airtime minutes. 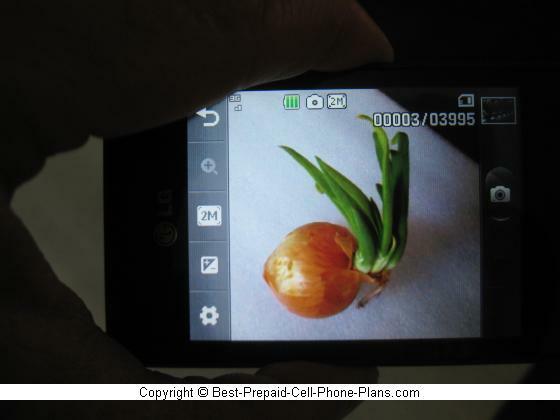 This is a new feature not available on the LG 800g. If you haven’t used the web browser for a while, you might want to go into the WiFi settings and click Refresh to make sure you’re still connected. Otherwise, the phone might try to connect via 3G, speaking of which . . .
3G sounds great, but it’s really not in our case, because it will EAT your airtime when using the web. I went to a web site that tests your download speed to see how fast this phone is for surfing the web without using WiFi. The test reported the phone indeed functioned at 3G speeds. The problem is that though the test only lasted a couple of minutes, it used up about 19 minutes of my airtime! This is not good. Earlier, slower, Tracfones used up about half a minute of airtime for every minute spent web surfing. Not anymore. It’s really not feasible to surf the web if you use up something like six minutes for every minute you spend actually browsing the web. So if you’re going to use the web when you’re not connected to a WiFi network, watch your minutes! Apart from the minutes issue, that actual web browser is not bad. While you can’t pinch and zoom with your fingers as you can with a smartphone, you can use the volume buttons on the side to zoom in and out on the web page. You can’t reset the home page for the browser. You can save the page you want as a bookmark and go to that bookmark. If you really need the browser to go directly to a different home page, then you can download another browser like Opera Mini. One drawback is that the LG 840g cannot play YouTube videos even when connected to the WiFi network. It gives a “Playback Error” message when you try. You can try downloading the YouTube java app fro Google. I did, and while the app downloaded and installed, it didn’t play any videos. If you really want a WiFi Tracfone that does YouTube, take a look at the Samsung S390G. The 2 MP camera takes pretty good pictures. While it’s not the highest the resolution pictures you can get from a Tracfone (that honor still goes to the 3 MP camera on the Motorola EX124g), the quality of the pictures seems pretty high - the lens and/or sensor is a good one. Also, the picture viewer works great on the small screen for showing friends. You can take 320 x 240 QVGA resolution videos which is a step up from the usual even smaller QCIF quality videos on previous phones. The videos are stored as 3gp format files. There is an mp3 music player, and you can store your music and photos on microsd memory cards. As usual, you can make your own playlists etc. You can listen to music while doing other things with your phone such as sending text messages, checking email, and surfing the web. One thing that is missingis an FM radio. This is a somewhat unexpected as the EX124g and the LG 900g (from NET10) do have a radio. You can download and install mobile Java apps and games on this phone. Generally, you should be able to download and install most mobile java apps. As a test I installed an Egg Timer app that a reader had requested for another LG phone. It installed and worked fine on both phones. There are two pre-installed demo games – UNO and Asphalt Elite. I tried the Asphalt Elite which is a car-racing game. I tried out the installed demo version and found it to be unusable – I couldn’t make the race car turn despite following the given instructions. In addition, the buttons of the game’s menu are way too small for most fingers. There is a separate set of utilities for accessing the social networking sites Facebook, Twitter and MySpace. While these are pretty cool, these have the same issue with using up minutes that I mentioned above. Sites like Facebook adjust how much data they send when they encounter slower phones, so earlier Tracfones would not use up as much airtime when accessing these site both because of the slower data rate and becaue Facebook sent a smaller files. However FB probably thinks that since you’re accessing their site with a 3G phone, you can handle more data, so sends larger files. This leads to your minutes disappearing faster if you’re not on a WiFi. So be careful about this. Like the S390G and the EX124g, this phone has an email client so you can check most kinds of email accounts as long as you have their access info. You can find the interactive 840g tutorial here. On the lower left of that page should be a link to the User Guide. 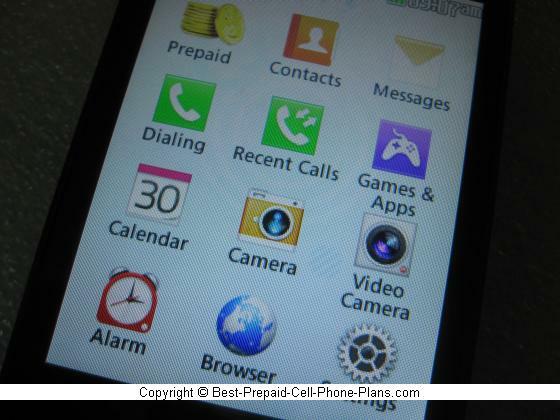 Yeah, if you’re looking for a prepaid touchscreen phone then you should consider this prepaid touchscreen phone. 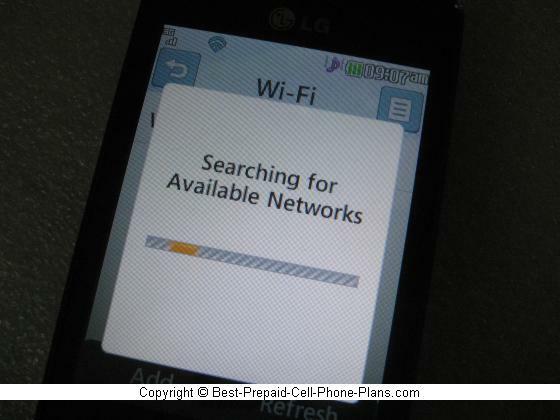 You get the advantage of using WiFi to access the web and social networking site and the benefit of the low monthly cost of a Tracfone plan. 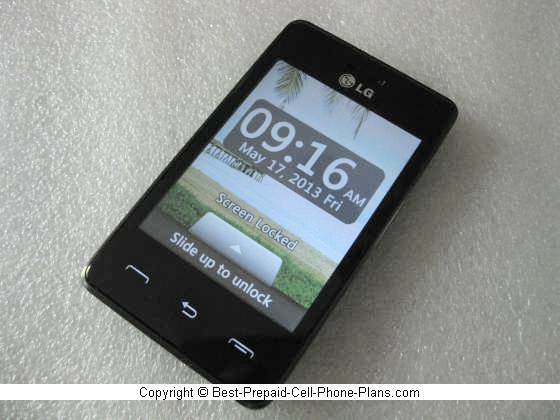 Get the Tracfone LG 840G with Triple Minutes for Life! A reconditioned version is available in select areas and online. While the 840g has some fairly unique features for a Tracfone such as WiFi, other great features are shared among other handsets. There are a few other phone with the Triple Minutes feature.This helps with data usage and airtime. Here is one example. The Motorola EX124g offers a 3MP camera and comes with a stylus for its screen. 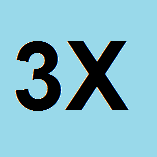 You can save on phone purchases or get bonus minutes with Promo Codes. Using these codes efficiently brings down your airtime rate significantly. If you need to use a lot more data or minutes, you might consider a touchscreen from another plans such as the Samsung T528g from Straight Talk. This handset offers features galore but has a few issues.